Our church service begins with this ritual. Many times, I think – All the Time? When the diagnosis is cancer? When your husband has been in pain for ten days? You get the picture – many times we don’t feel like God is Good – all the time. Nothing was working out. No one returned my calls. It did not seem that God was good this Monday. No one seemed to care. I shouldn’t say that- family and friends kept in touch with me constantly– they cared. The prayer chain at church was active. The medical community was not responding. 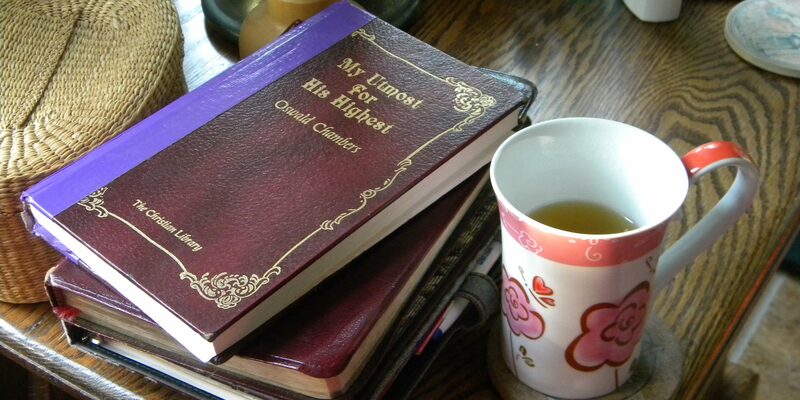 I awoke with such optimism Monday morning – that someone would help – we would get an appointment that day for my husband. John was not able to stand without excruciating pain or walk for ten days. He had an MRI at the ER on Tuesday before Thanksgiving and was sent home with pain meds and prednisone. He had a herniated disk. Now, he was out of both medicines and pain not improved. As the hours dragged on and no calls I was anxious, ok, I was depressed. Finally, at 4pm I received a call from our local doctor’s office. I rushed to town to get the prescription. Then to the pharmacy to have it filled. It was then my cell phone rang – a neurosurgeon’s office – could we be there at 8:50 the next day? Yes, someone does care. The next morning our son helped me get John in the car and loaded the wheelchair. We left our house at 6:30 am for the one and half hour trip over the mountain to Gainesville. It was a beautiful clear day the sun was shining and warm for late November. I drove around to the front door to let John out. Amazing, a handicapped parking place right in front. I don’t like to pray for a parking space – but God reserved one for me that day. After a few pulls and tugs I was able to get the wheelchair unloaded. I rolled John in the office and before we got settled in for the wait (he was being worked in their schedule) he was called back to see the doctor. The doctor came in and showed me the MRI and X-ray and said his disk was completely pinched and he needed surgery as soon as possible. Everyone in the office seemed concerned and the doctor was concerned about his pain level – he scheduled surgery the next week. They called the hospital to try to schedule preop for that day. No openings – Preop on Friday. Oh, no go over the mountain again in few days? John could not make that trip again. But Yeah surgery scheduled! We went to lunch. John said, “Why don’t we go by the hospital and see if they can work us in for preop today. Sure, enough someone else cared and after an hour nap in the waiting room they put him through preop procedure. God was certainly good that Tuesday. On the drive home, I recounted all the blessings – Praise the Lord for a safe trip, beautiful sunny day, parking place right in front of office, surgery scheduled, a lady to lift wheelchair and preop done. But was God good on Monday when I was so despondent and distraught? Sure, he was – he gave me the strength to keep pressing on. Even though I didn’t feel like he was good, he was working all the time. Seeing the goodness of God on Tuesday helped me get through the next week before John’s surgery as his pain increased even with strong medication. Where are you today? 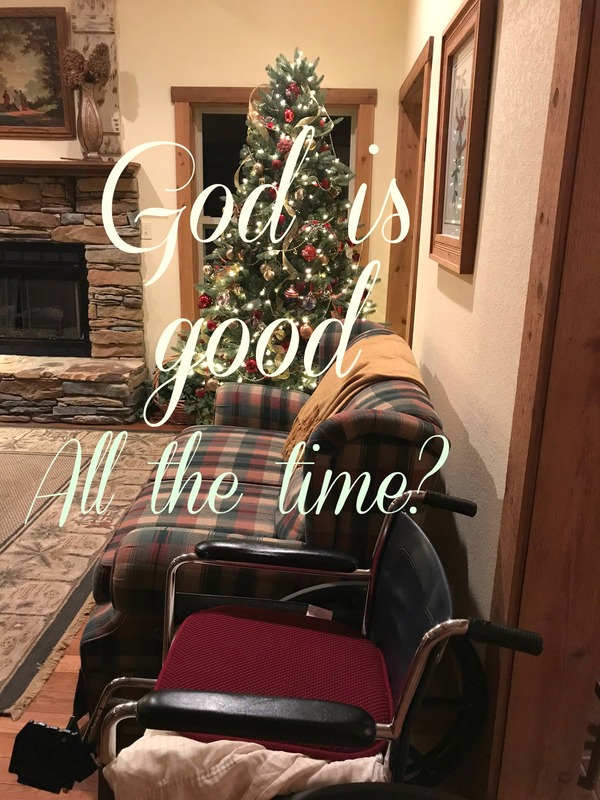 Do you feel that God is Good all the time? My experience is miniscule compared to my friend who lost her husband or another friend facing cancer or someone whose spouse leaves. But I know God can meet you even in those times. Psalm 73:1 Surely God is good to Israel, to those who are pure in heart. Philippians 2:13 For it is God who works in you to will and act in order to fulfill his good purpose. This song by Casting Crowns – speaks to our times of doubting that God is Good all the time!